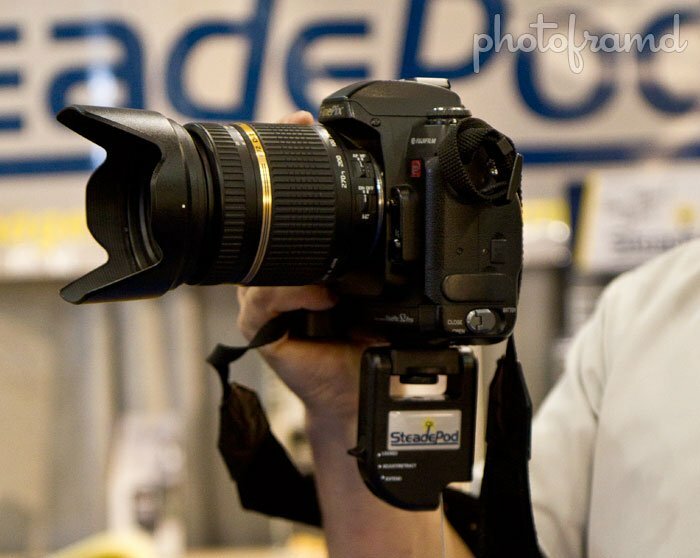 I spent all 3-days walking the tradeshow floor at PhotoPlus Expo 2010. 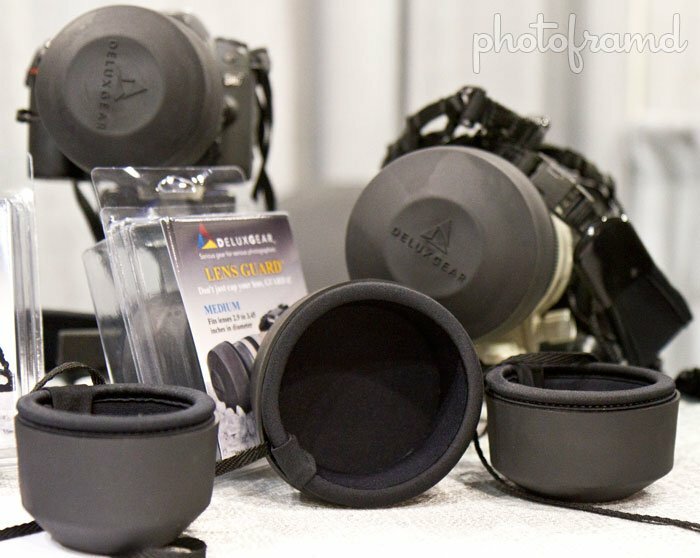 Besides meeting some well-known photographers, I did find some great products. 1. Sigma 85mm f/1.4 EX DG HSM. Definitely one of the most anticipated products of the Fall. 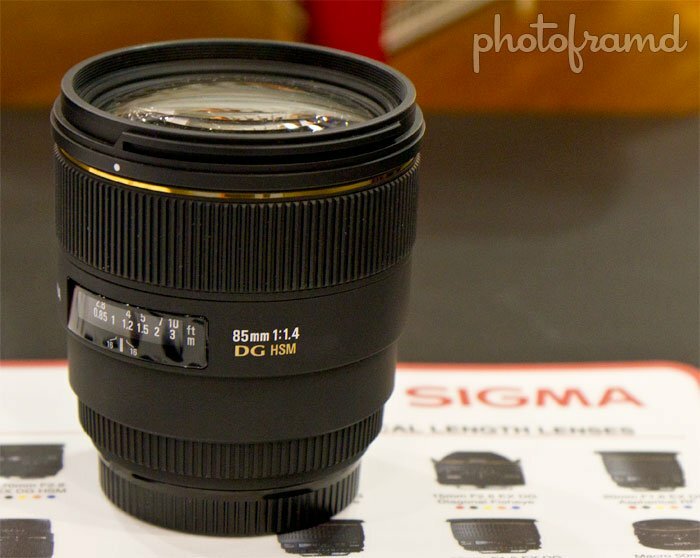 This Sigma 85mm lens combines spectacular optics with an f/1.4 aperture. If you have every thought about buying the Canon 85mm f/1.2 L, you can get similar results for $1000 less. (Note – I will have a more detailed review later this week.) This lens is available in mounts for Canon, Nikon, Sigma, Pentax and Sony Alpha/Maxxum for $899. 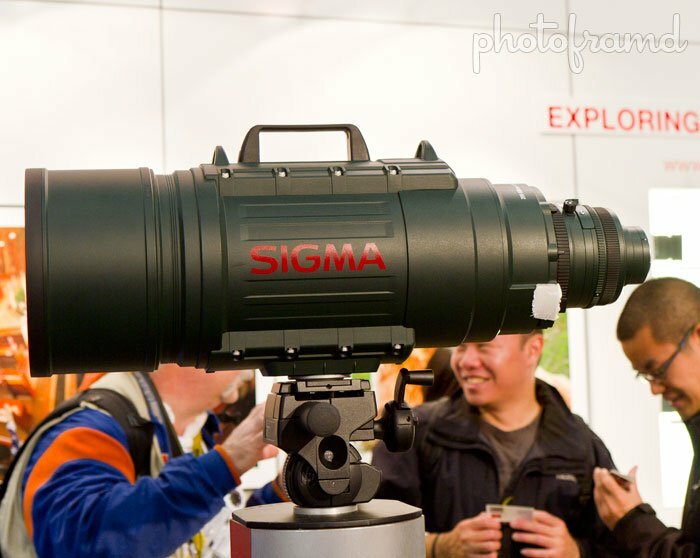 While at the Sigma booth, I also had a chance to test the Big Green Bazooka – Sigma 200-500mm f/2.8 APO EX DG. Yes, that is a lens! For $30,000, I hope it comes with a valet. 2. Hoodman Cinema Kit Pro. Finally Hoodman gets it right! Dumping those stupid rubber bands that was introduced with the HoodLoupe 3.0, Hoodman now combines the same LCD viewer with a multi-hinged crane that mounts to the camera’s hot-shoe. Combine it with the HoodMag 3x eye cup, and you have a real winner for around $200. 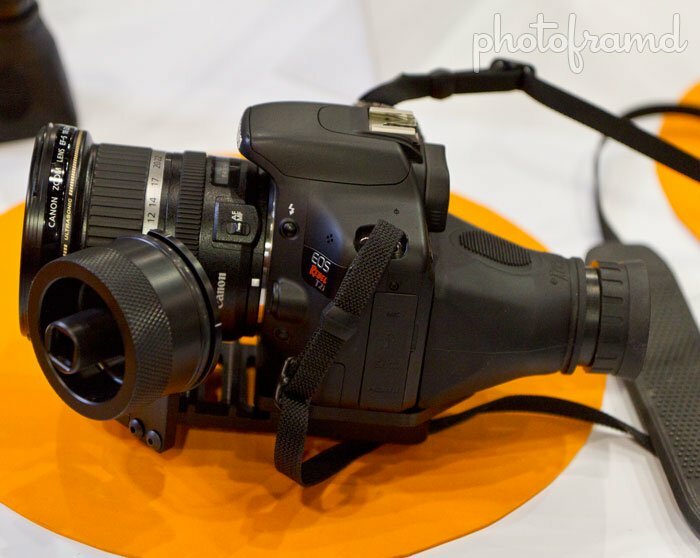 I used throughout while covering the Expo shooting both stills and HD-Video with the Canon 7D. It’s great! 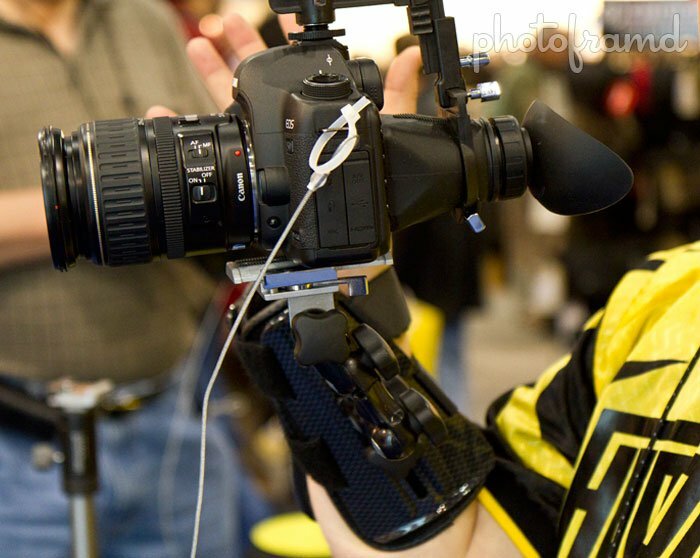 Yes, we can rebuild him … this bionic arm is actually Hoodman’s new DSLR Wristshot. It is a wrist brace with a mini-tripod and quick-release attached. It works well for a light DSLR and lens. However, I found it created arm fatigue with a heavier load (like the Canon 7D with Battery Grip and heavy lens). I would wait for next year’s release. I found this product at last year’s Expo and used it to shoot my Expo Video. 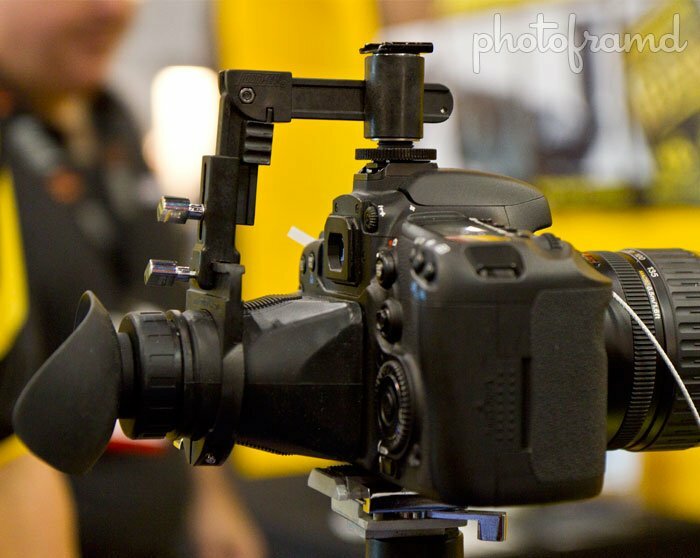 The SteadePod mounts to your camera’s standard 1/4? screw-mount and incorporates a lanyard system to stabilize your camera during hand-held operation. Basically, the lanyard creates enough tension to steady your camera without the need for a tripod. Just pull out enough line, lock it in place and secure it to your belt, and you are ready to go. Since last year, they have improve the locking mechanism for smoother movement. It’s still under $30! 4. iDC Run & Gun. iDC Corp was founded by Hollywood Director Bruce Dorn. He is also one of Canon’s Explorers of Light. Their Run & Gun combines a HoodLoupe 3.0 with a follow focus dial and adjustable plate. It is available direct for the Canon 7D, Canon 5D Mark II and even the Canon Rebel T2i. 5. Kenko’s new Zeta filter line. THK Photo Products is the parent company for Hoya, Kenko, Tokina and Slik. I have been a fan of their Hoya filter line for years. 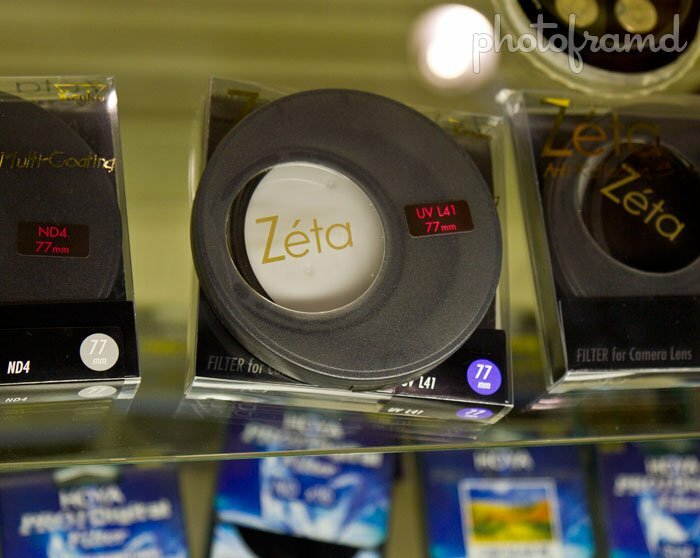 Now, under their Kenko Group, they will offer a new line of filters under the premium Zeta brand. The Zeta line will start with a UV filter and circular polarizer, but will also include a Variable ND filter similar to Singh-Ray and Light Craft Workshop. 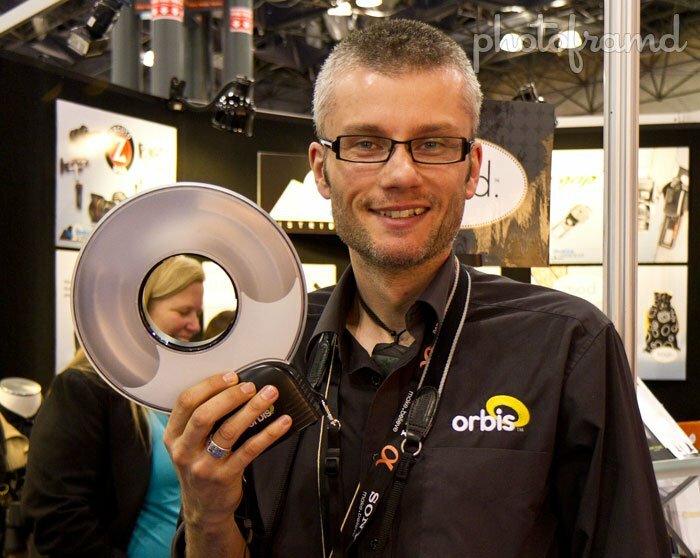 Instead of buying an expensive ring-flash, the Orbis reflector mounts over your existing Speedlite to produce a similar ring effect. Soften shadows and produce ring catch-lights either on your camera, handheld or with an off-camera brace. More than just a lens cap, this is a lens guard. Rubber exterior with a neoprene core, the Lens Guard protects the front of the lens from impact. It is $15 and available direct in multiple sizes. 8. Pogoplug – your personal cloud. Pogoplug allows you to connect any external hard drive to the internet (through the Pogoplug website) for remote file access. Pogoplug promises free lifetime service with no fees and no limits. 9. Op/Tech Snoot Boot and Hood Hats. Op/Tech has a great line of neoprene products for your camera. 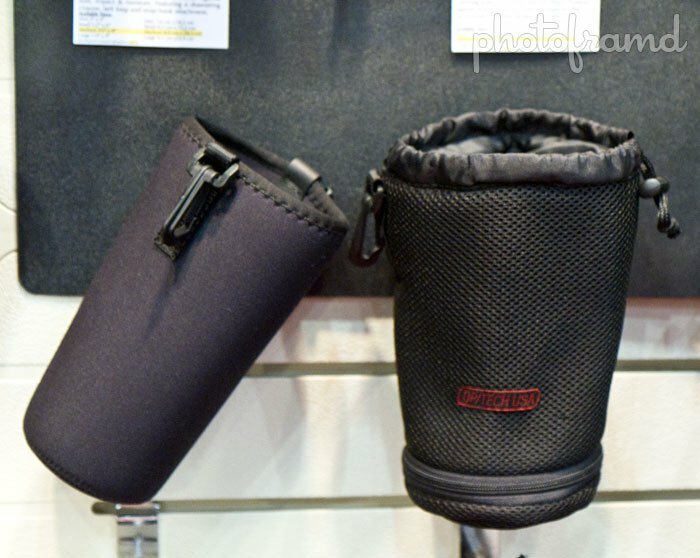 The Snoot Boots are neoprene sleeves available in multiple sizes to accommodate a variety of lenses. The Hood Hats are short versions of the boot designed to cover the lens with a lens hood attached combining lens cap protection with impact protection. 10. HDR 32 Float Photoshop Plugin by Unified Color. 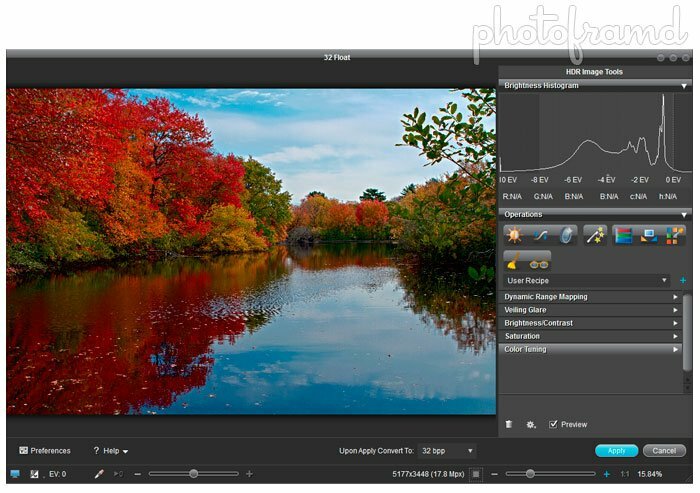 HDR 32 Float is the new 64-bit Photoshop Plugin for manipulating 32-bit color images (as well as 16-bit and 8-bit images). This plugin does not create the HDR Merge. It relies on Photoshop CS5 to create the merged file. However, unlike CS5, this plugin can directly manipulate the full 32-bit image’s high dynamic range through real Tone Mapping. The results are very impressive and it is available direct for $99. If you are looking for a full stand-alone version, they also offer HDR Expose. However, I found Photoshop CS5 64-bit to be quicker and produce better anti-ghost merge results. Overall, whether you are looking for new products, take a seminar or just network with your colleagues, the PhotoPlus Expo is a great experience. Don’t forget about the upcoming PDN PhotoPlus Virtual Event on Decemeber 8 & 9.